I like to deal with it by combining seasonal ingredients with weather appropriate recipes. Take my broad bean and goat’s cheese risotto, for example. 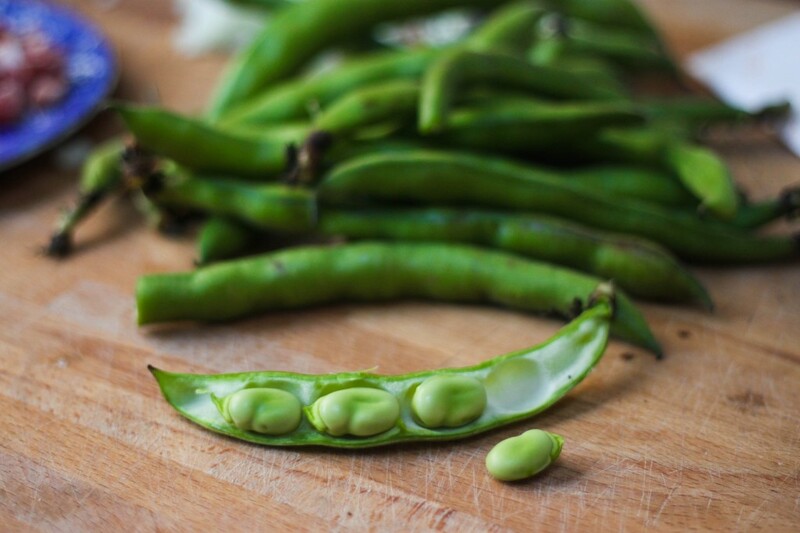 You have the brilliant bright greens of spring in the form of our lovely friends the broad bean, while the oozy, cheesy risotto is about as comforting as pasta can get. Yum indeed. Of all of the vegetables that lurk around my fridge, courgettes are probably one of the least popular. I quite like these tubular squashes but I just find them ever so slightly uninspiring. I’ve made Jamie O’s lovely bish-bash-bosh courgette carbonara innit a number of times and it is lovely. I’ve chucked them into ratatouille which I’ve found to be less lovely upon my tendency to overcook things. I’ve been more successful when using them in salads, revving up the lemon and chilli to bring out the courgettes’ natural loveliness rather than highlighting their potential for banality. My Mum came over to ours recently laden down (as usual) with delicious cakes. One was a courgette cake that she found in Good Housekeeping magazine. It was light, flavourful and, I felt, a damn good way to use up those sad old courgettes lurking at the back of the fridge. 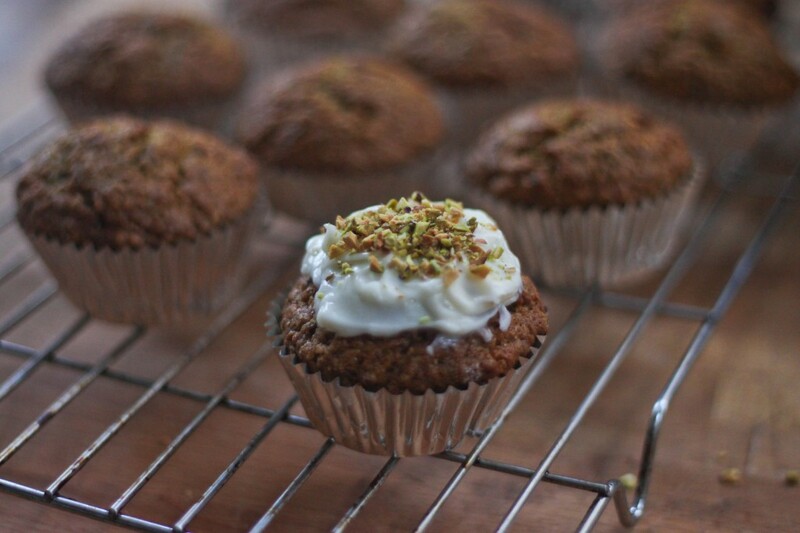 Rather than make them into a cake, I decided to make some cupcakes with a heavy courgette bias. And, I’m pleased to report, they were quite lovely indeed. One of my dreams is to own a B&B in Dublin’s city centre. I’d cater for all manner of lovely people but I would especially want to open my doors to travelling bands and musicians who usually have to put up with generic hotels and terrible food when on the road. I’d have great food and comfy beds, books everywhere and lots of comfy sofas for bands to kick off their Toms in front of. It’d be a home away from home, a place for bands to recuperate on the road. And a place they’d be guaranteed a really lovely home-cooked meal or two. There are three things, in my opinion, that make a Bed & Breakfast worth leaving your own home for. There’s the bed aspect – are the pillows fluffy, is the bed marshmallowey, does the house have character? Then there’s the breakfast part – it’s almost laughable how many Bed & Breakfasts get this so horribly wrong if it weren’t for the fact that there’s nothing funny about a bad breakfast. Finally, there’s the unspoken hospitality part – do you feel at home? Do you feel relaxed, rejuvinated and welcome? 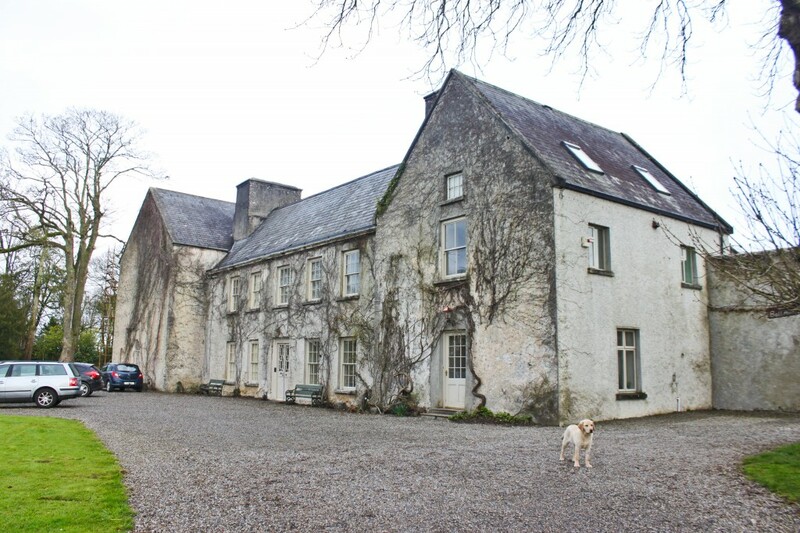 I was lucky enough to be a guest of Cloughjordan House in Tipperary last weekend. For me, their B&B has got it all. The comfort, the food and the hospitality. They’ve even got more than that – they’ve got a cookery school, a reclaimed ballroom that makes a stunning settting for weddings, three dogs (Richard, Rupert and Louis) that roam around being friendly, and then there’s the pair of pigs called Barbie & Ken. Best of all, the entire family behind this B&B get stuck in and are a huge part of what makes this place so special. A few weeks back, I challenged my friends Lucy and Ferdia to a Come Dine With Me 2013. Very 2011, I know, but we had been talking ALL year about cooking for each other last year and it never happened. I thought putting a competitive spin on it might get us all together long enough to cook a meal for each other. Seeing as they’re both better cooks than I – Ferdia makes his own ginger beer and jams while Lucy can cook full meals in camper vans – I thought I’d push the boat out a bit with my own menu, seeing as I was first to host. I went a bit over the top. We had gin cocktails and quail scotch eggs as canapés before delving into teacups of beetroot soup with horseradish creme fraiche and cubed salmon. Then we had Barney Desmazery’s country terrine followed by his oxtail stew, complete with basil dumplings and served with some honey roasted root vegetables. Dessert was a rhubarb and custard tart using Jamie Oliver’s lovely sweet shortcrust pastry recipe, but I used orange zest instead of lemon zest. I had planned the menu quite well in that everything was ready before the guests got there. 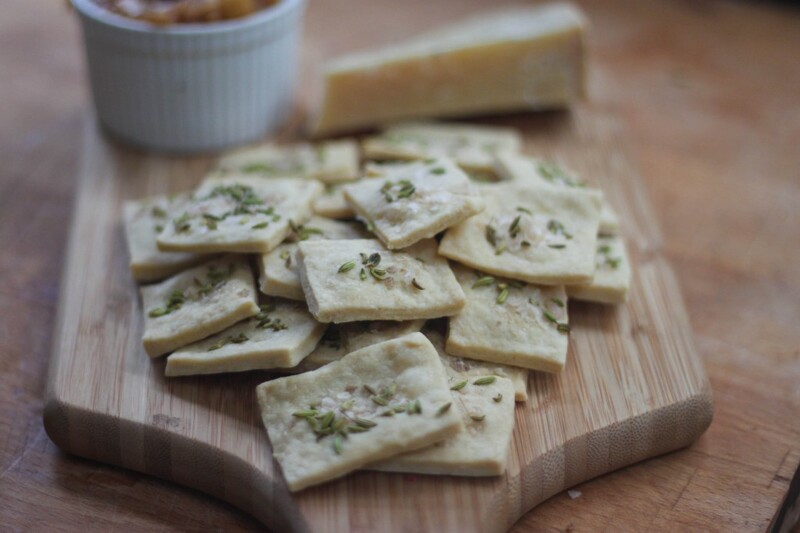 Including the very final course of cheese (Glebe Brethan and Ardrahan) which I served with my own apple chutney and my very own homemade crackers. Which kind of blew my mind. 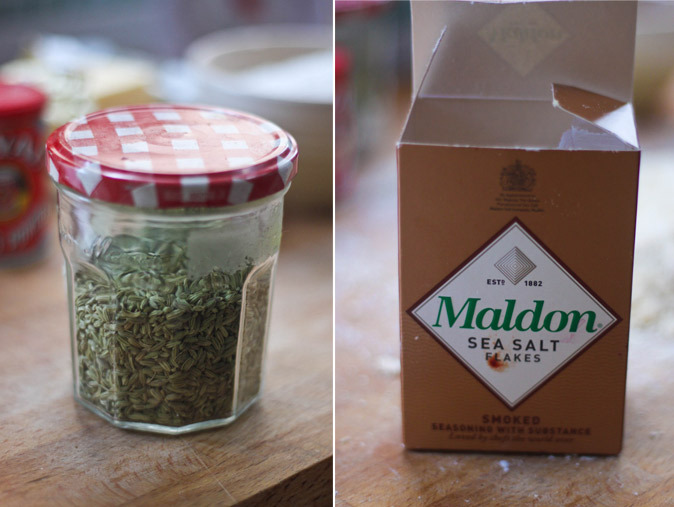 If you’ve been hanging around this blog for long enough, you’ll have realised by now that I tend to be somewhat uneasy when it comes to baking. I’ve had lots of recent successes (especially since this breakthrough) but my cakes, pies and buns still leave a lot to be desired. 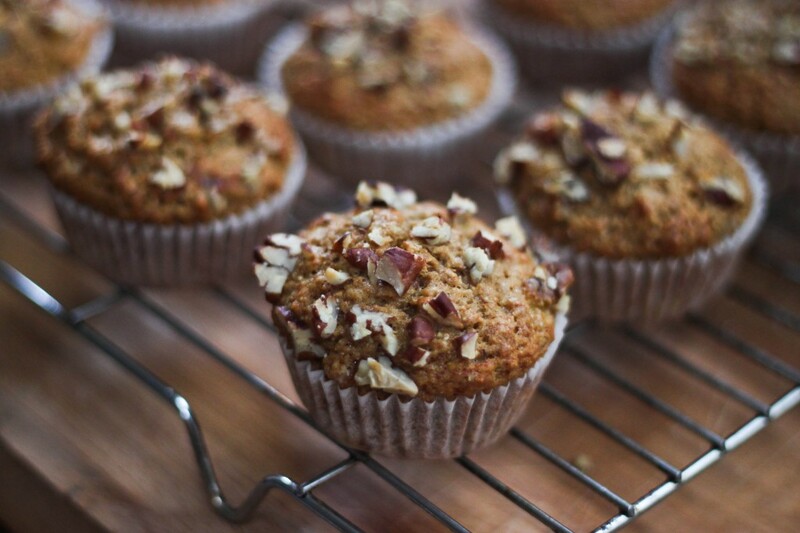 Take these banana muffins, for example. They looked right and they tasted right. Except for one important little factor – the texture. Herein lies the dominant dilemma of my baking life. My muffins are tough and dense, rather than light and airy. I wonder what I can do about that? All muffin recipes highlight the importance of not over-mixing. I don’t know how I can mix any less. Perhaps these muffins could have benefited from a bit more oil? I thought I’d share the recipe with you as the flavour combination of coffee, banana and pecans worked really well. Maybe you can help me with the muffin base recipe? Like many other food lovers before me, I fell in love with Jerusalem last year. Thanks to the evocative writing and mouth-watering recipes in Yotam Ottolenghi and Sami Tamimi’s book dedicated to the food of their home town, I am able to transport my kitchen to this endlessly fascinating part of the world with their cookbook as a culinary tour guide. Niall had left Jerusalem under our Christmas tree for me and it wasn’t long before we were knee-deep in hummus and za’atar, starting the new year off with a distinctively Middle Eastern flavour. A lot of the aromas and flavours coming out of my kitchen through Jerusalem bring me back to my own childhood spent in Jeddah, Saudia Arabia. When I popped off the lid of the za’atar spice mix and inhaled its herby scent, it awoke a distant memory of evenings spent in the souk surrounded by freshly baked manakeesh. Likewise, a tahini sauce made with tahini paste thinned with water and flavoured with garlic and lemon juice brought my tastebuds on a journey back to the street shawarma stall we went to for weekend treats. What amazing memory our taste buds hold! 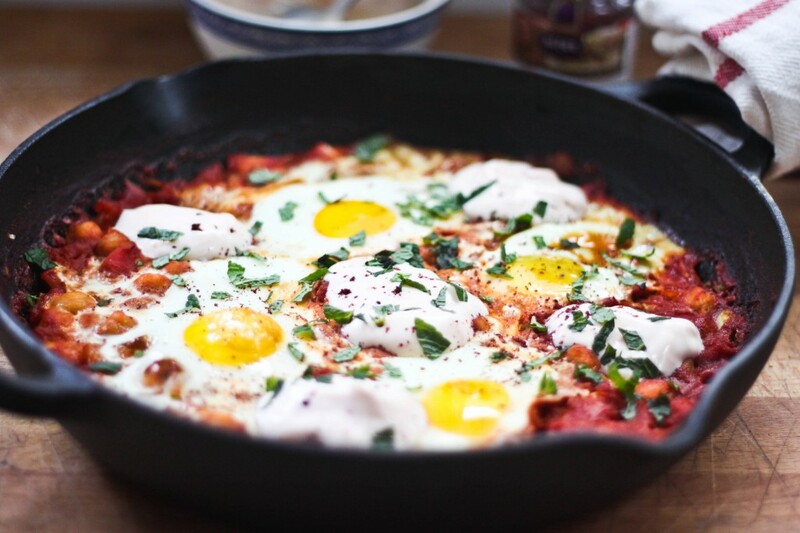 Always on the look out for new ways to bake eggs for a lazy brunch, I was inspired by the flavours of Jerusalem to make a batch of baked eggs that were both sweet and spicy with a hint of Middle Eastern influence to add to the enjoyment of the dish. As with many January’s that have come before, 2013′s has begun with the optimism and promise of a detox diet. I’ve renounced my double-threat vices of booze and smokes and am laying off the naughtier things in life for a while. With one cup of coffee a day to keep me going, I’m stuffing my face full of spinach, sprouts (not the Christmas kind) and seeds. A week in and I’m feeling very righteous indeed. I don’t like to be a defeatist but experience tells me that my new found kitchen virtue will have to fight hard to survive throughout the year. I don’t want to give up all my naughty treats this year (I haven’t gone bananas) but I’m planning on making 2013 a healthier one by restoring a bit of balance. 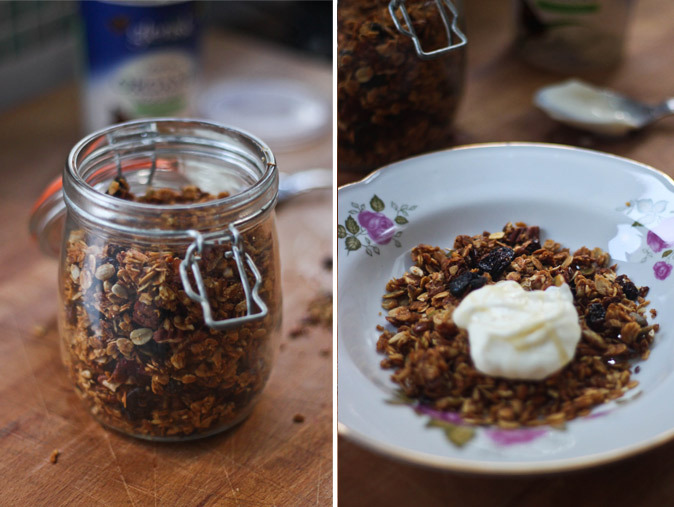 Somehow, in all the time I’ve spent learning about cooking, I had neglected to make my own granola. It’s an absolute dodlle to make and, if you are worried about processed sugar and the like, making your own means you can completely control what goes in to it. I made the school girl’s error of adding the berries and raisins into the mix when I was baking it. It was still lovely but the berries took on a slightly bitter taste having been toasted and they should be only mixed through the granola after the oats and all have been toasted. Just another reminder that I still have a helluva lot to learn about cooking. I love giving friends edible gifts around this time of year. In the past, I’ve given Christmas spiced cupcakes and chutney, or simple bundles of cheeses and crackers. Finding myself a little stretched for time this year, I was looking for something simple yet special to help pals and colleagues ring in the festive season. This year’s Christmas season kicked off even earlier than usual for me as I co-hosted the Folláin Christmas Masterclass on the 22nd of November. I was delighted to have been asked to act as an interviewer/student while Mairin and Peadar O’Lionáird shared with a gathered group of preserve enthusiasts at Andrew Rudd’s Medley on Drury Street in Dublin. 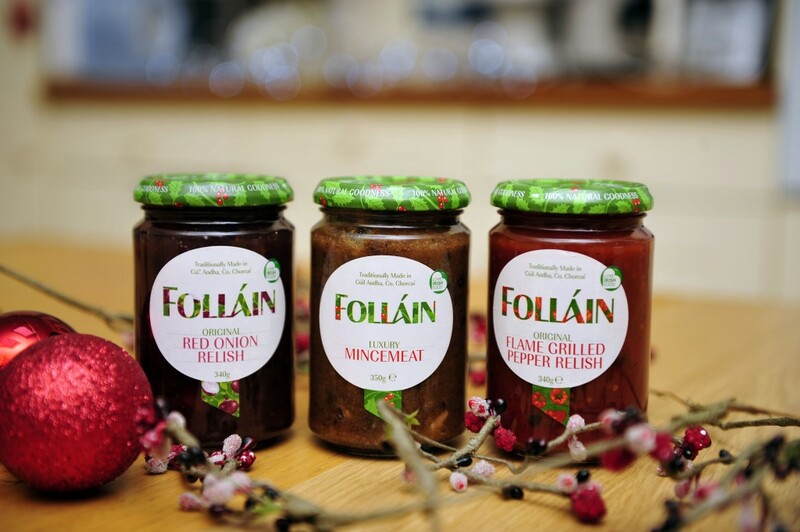 Folláin are a fascinating success story of how an artisan product can evolve. It was set up by Eithne Ui Shiadhail and Mairin in 1983 and Peadar soon became involved in the selling side of things. Now it’s purely a husband and wife team, alongside their employees. I visited their factory in Ballyvourney of West Cork, naively expecting to find a shed at the back of their house with a few empty jam jars being filled by hand. Instead I found a bustling factory, employing 14 people, and a conveyer belt of jam jars dizzyingly circling the large main room as they went on their individual jam journies. 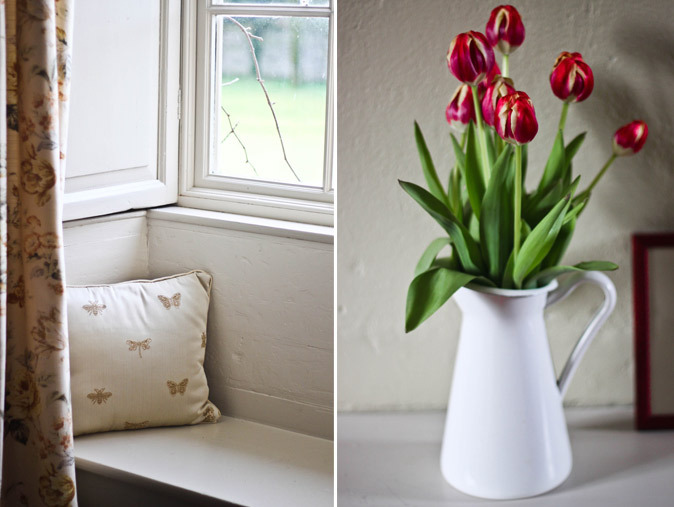 Follain are in the process of expanding and moving on to a bigger premises, proving them to be a promising tale of success without losing integrity among an Irish artisan business. I am delighted to be guest hosting the Folláin Christmas Masterclass next Thursday the 22nd of November in Andrew Rudd’s Medley in Dublin’s city centre. 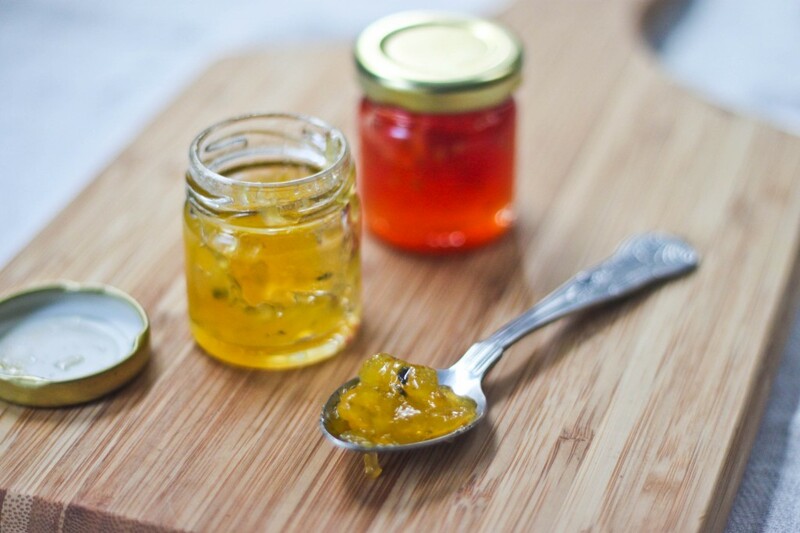 I’ll be joined by Peadar and Mairin O’Lionáird, who’ll be sharing with us the history of their preserve, jam, marmalade, salsa and relish making careers. I’ll be asking them all about the evolution of their delicious jam producing company, Folláin, which is based in Ballyvourney, Co Cork. 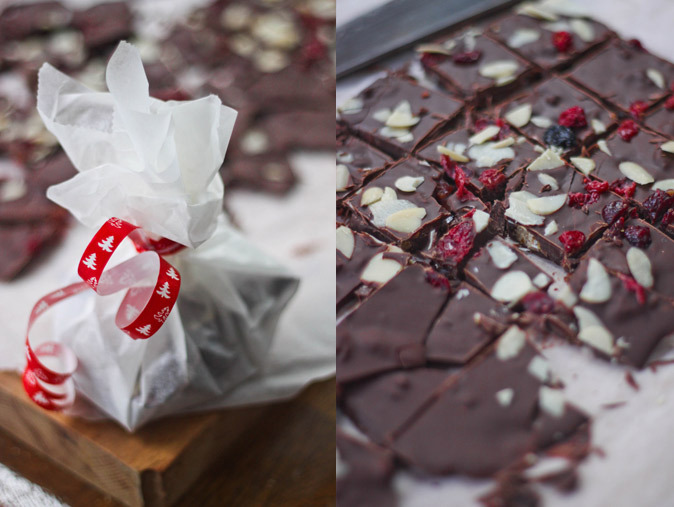 We’ll also be sharing some of the best ways to help Folláin make your Christmas even more delicious. Plus, there’ll be Christmas treats and tips to go around. Enter the facebook competition to ensure your place at our Folláin Christmas Masterclass. You can keep in touch with Folláin on Twitter as well @FollainJams.